A Conference on Anti-Corruption - Research Studies was organized by the Senate, Kingdom of Thailand. I represented the Chairman of the Thai Chamber of Commerce, Mr.Dusit Nonthanakorn to participate at this conference. 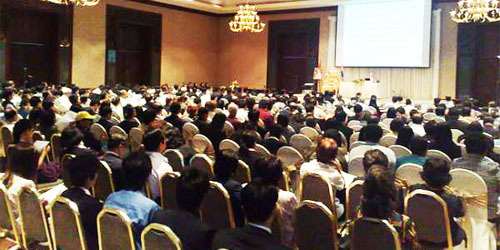 Some 600 people participated at this event held at the Century Park Hotel, Bangkok.